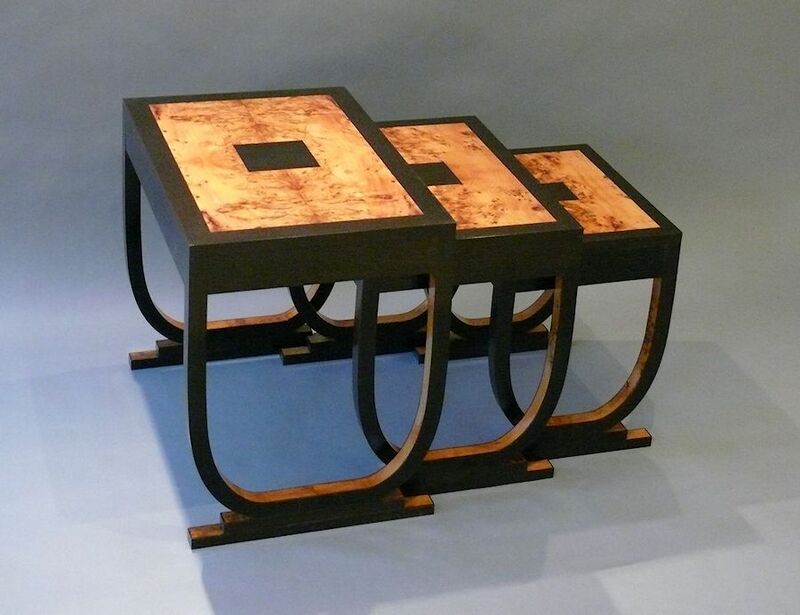 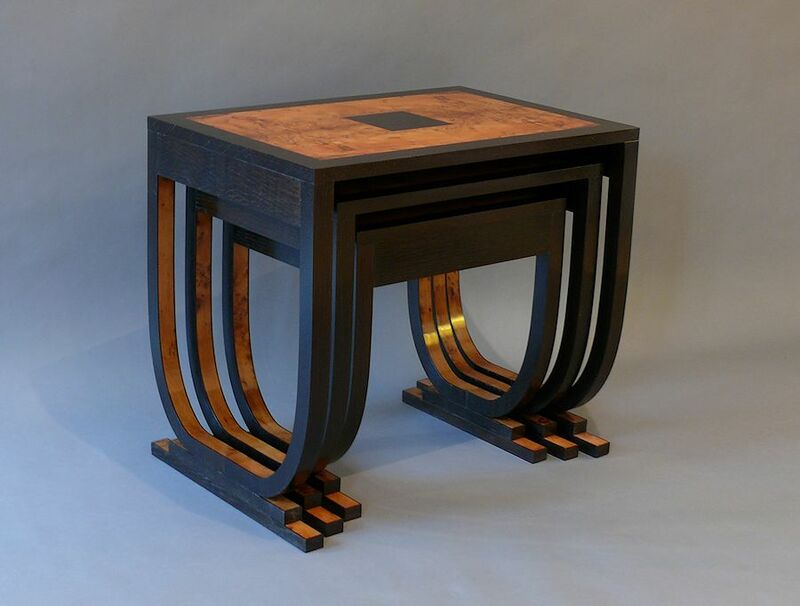 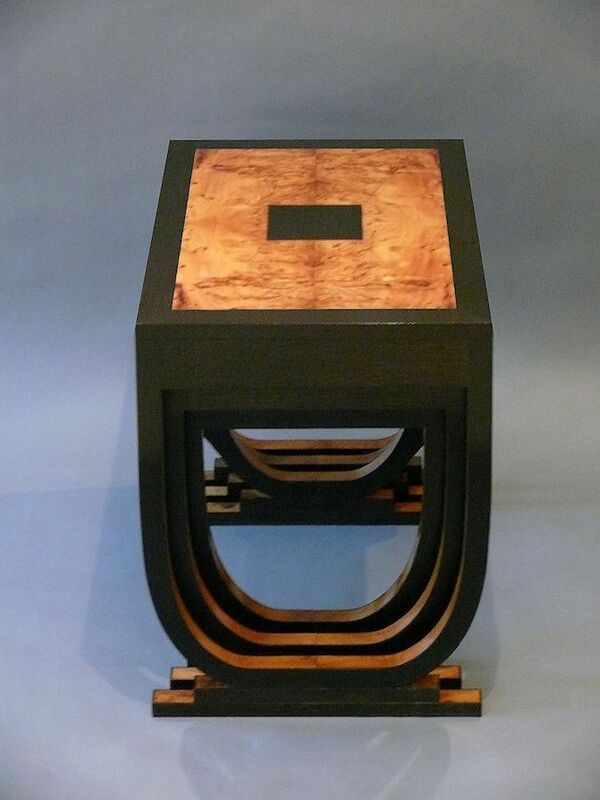 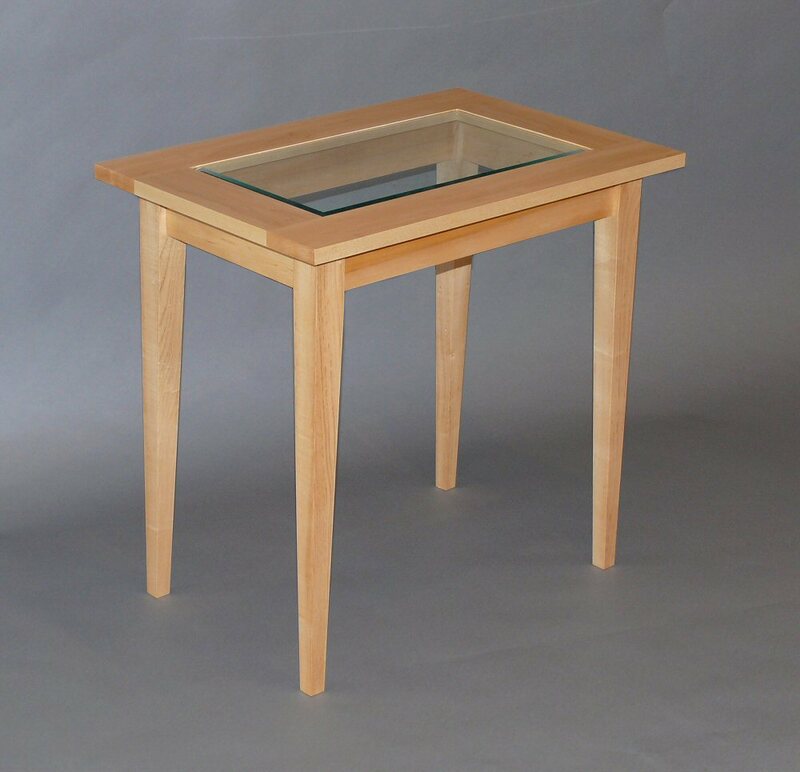 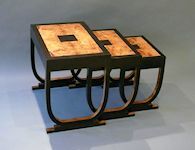 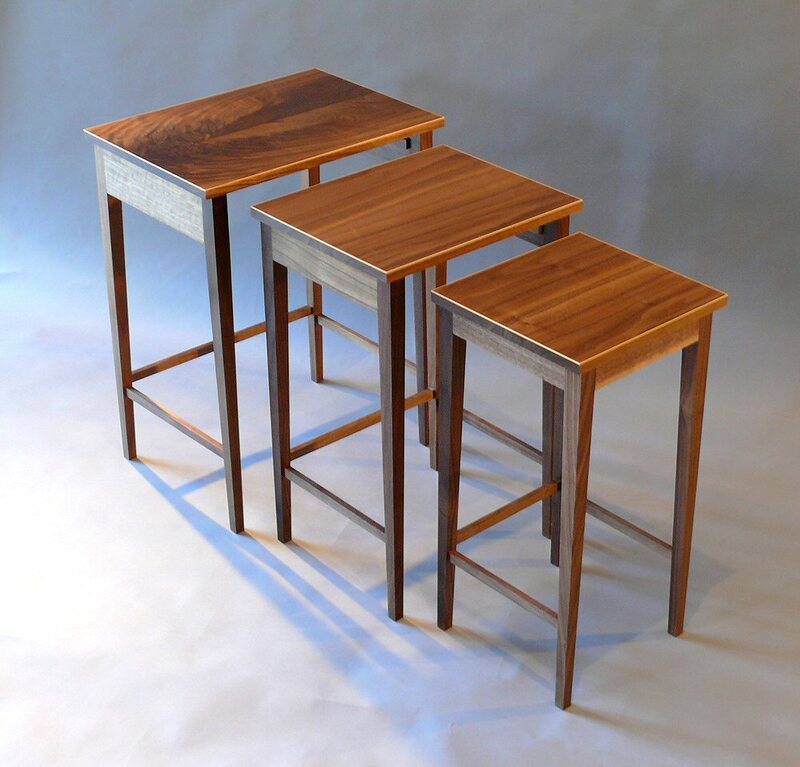 A nest of tables created in an art deco style, with delicate curved legs. 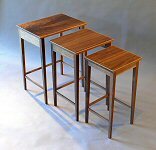 My clients had found it difficult to find a useful nest of tables in an art deco style, so asked me to make three tables that are both practical and pretty! 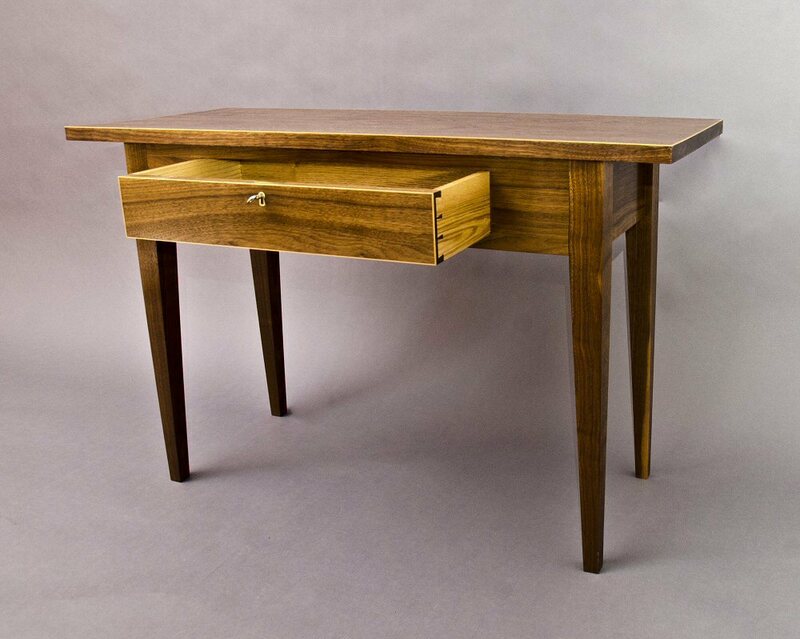 A delicate side table with a small but useful drawer. 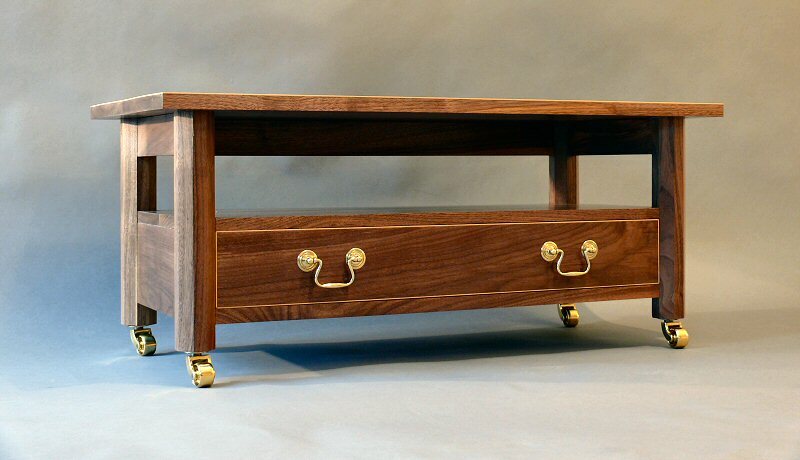 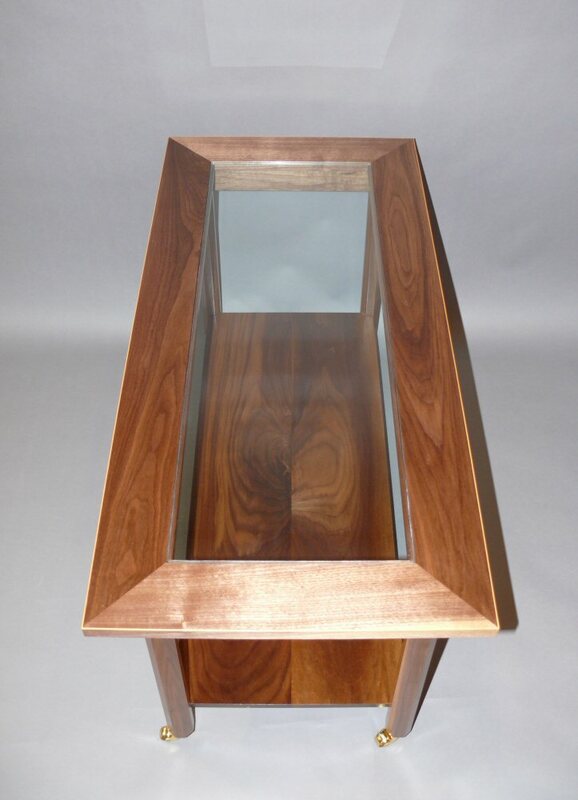 Made of American black walnut. 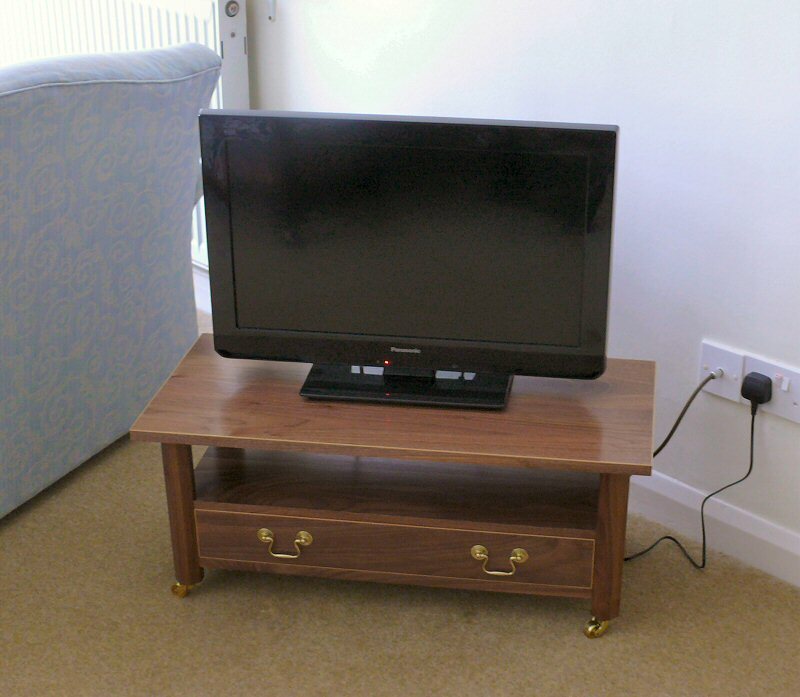 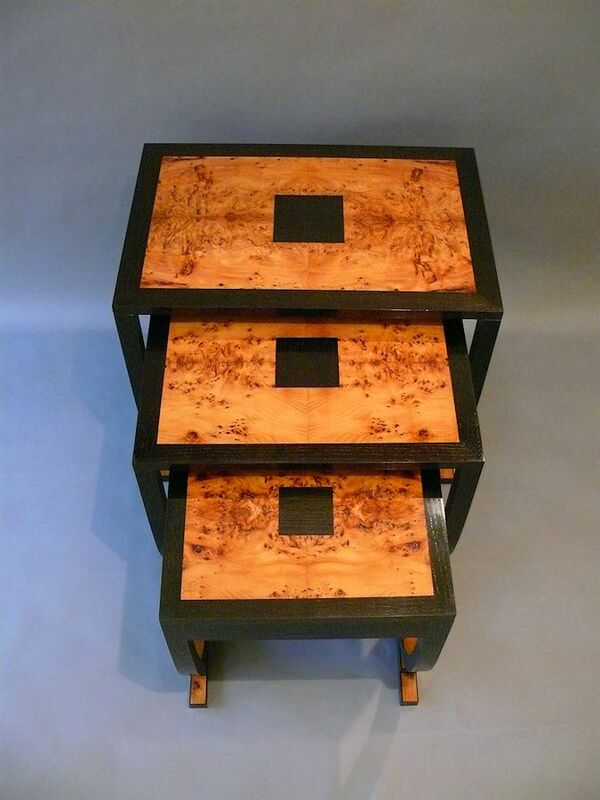 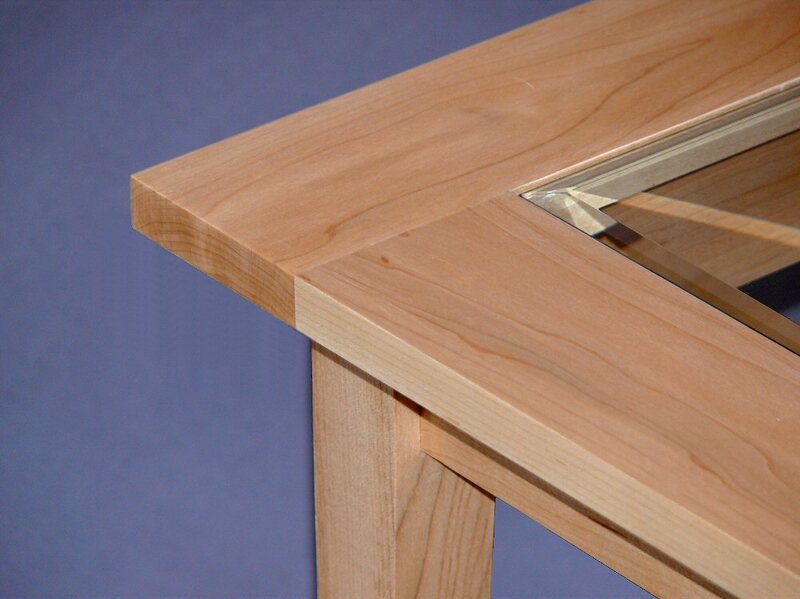 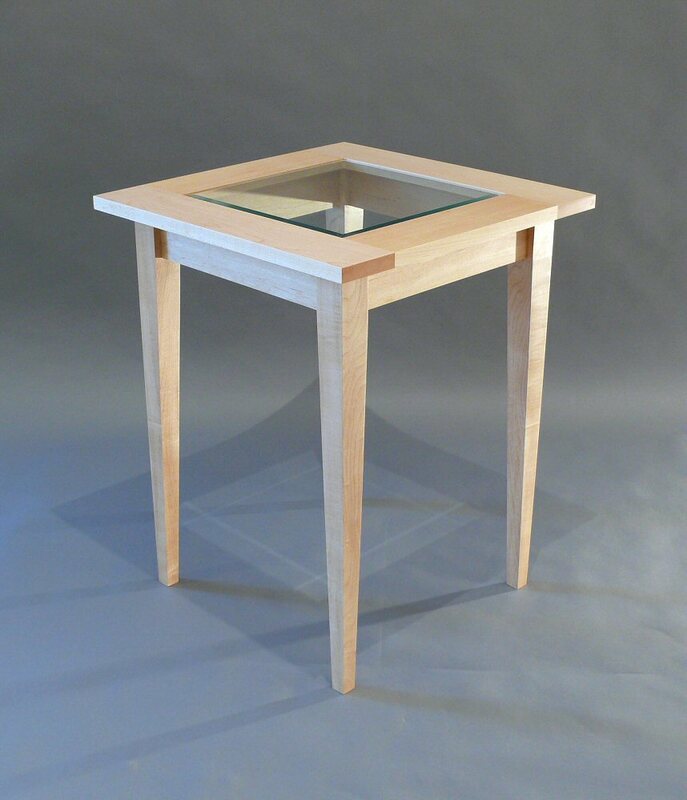 The drawer has sides of ash and a cedar of Lebanon base. 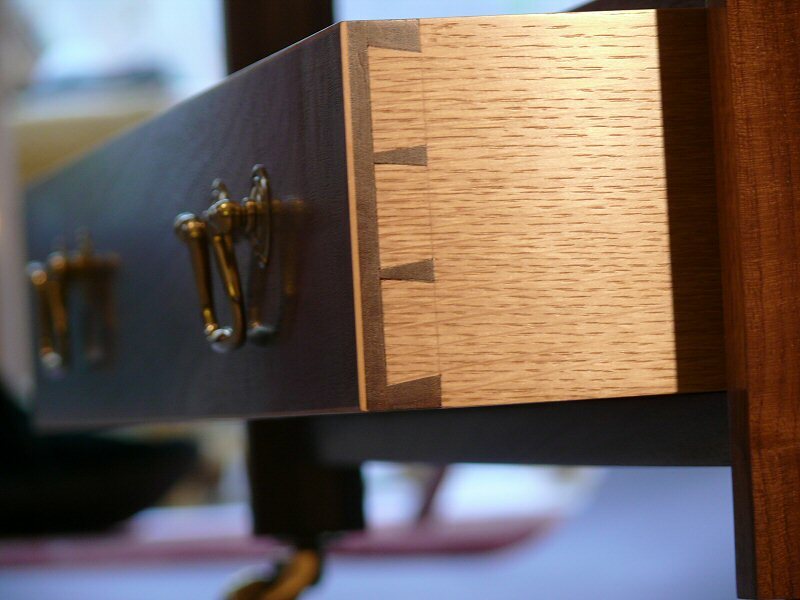 The drawer and top are highlighted with boxwood stringing. 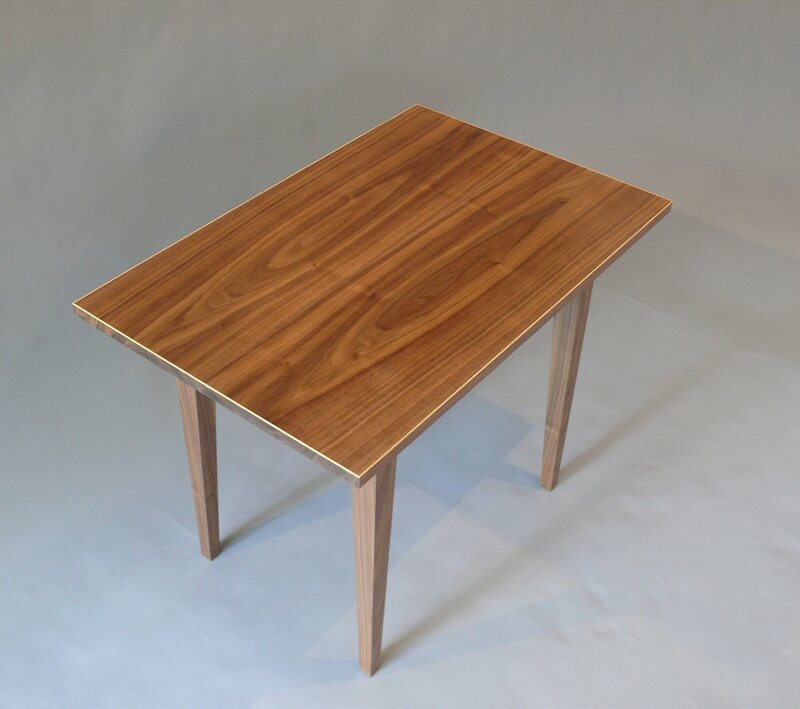 Specifically designed to be as light and unobtrusive as possible, these tables were made to fit into a small flat in St John's Wood. 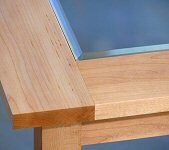 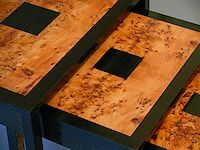 They are made of maple with bevelled glass inserts. 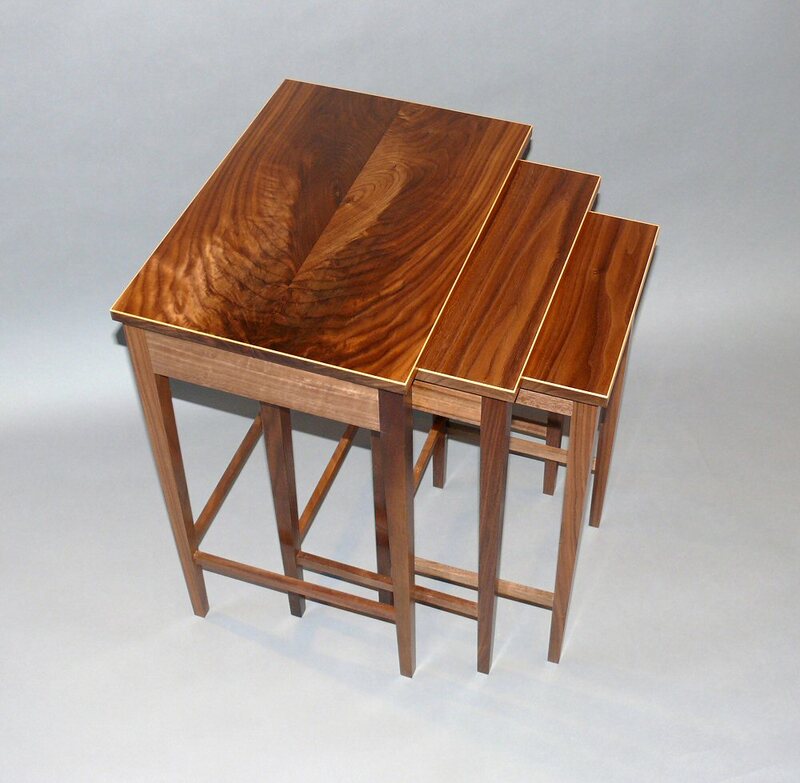 One is square , the other is rectangular. 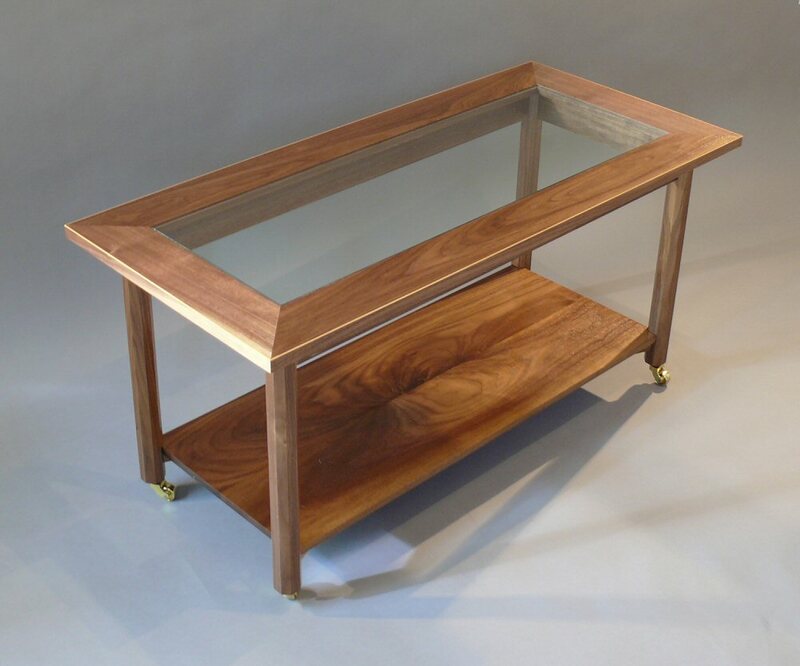 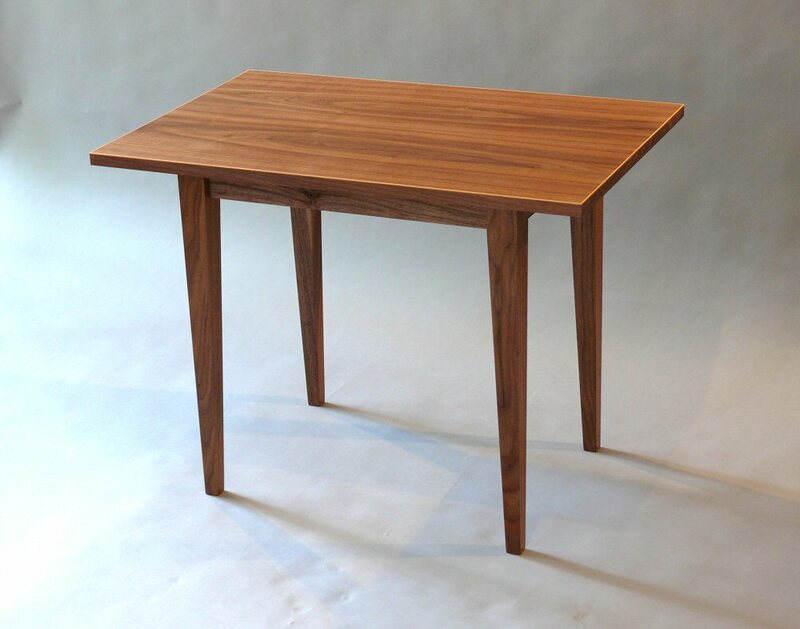 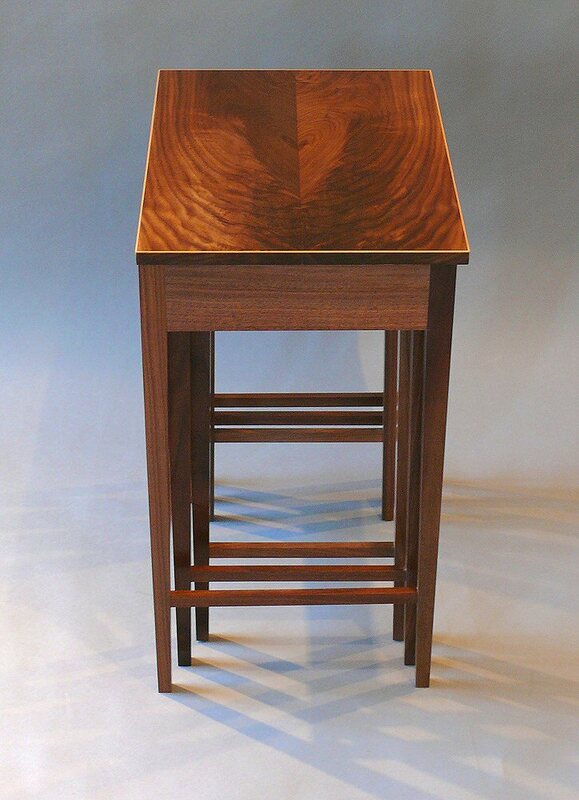 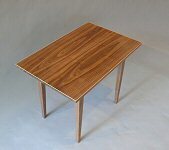 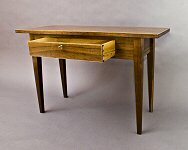 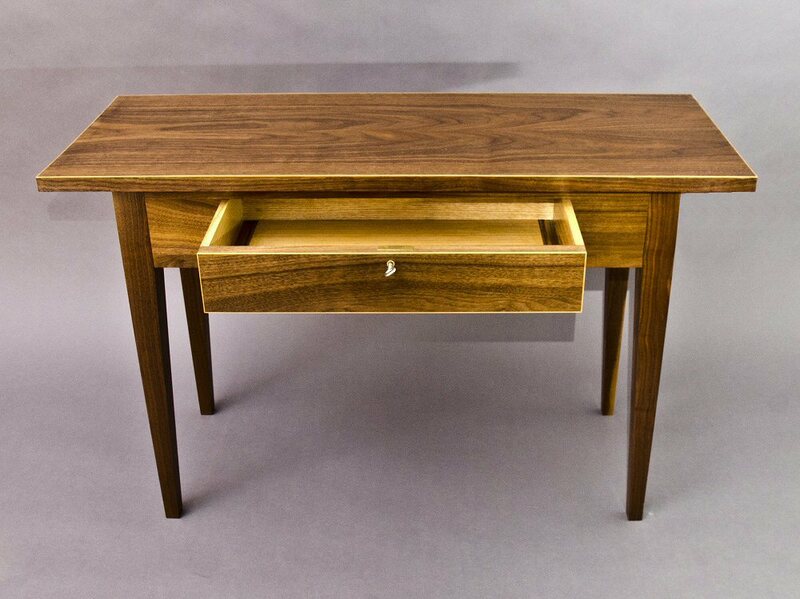 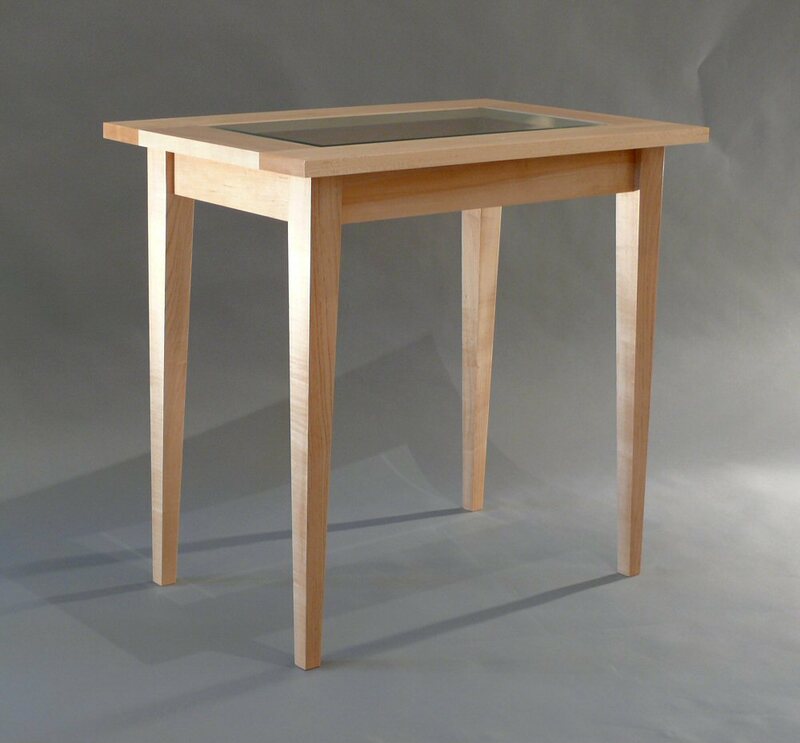 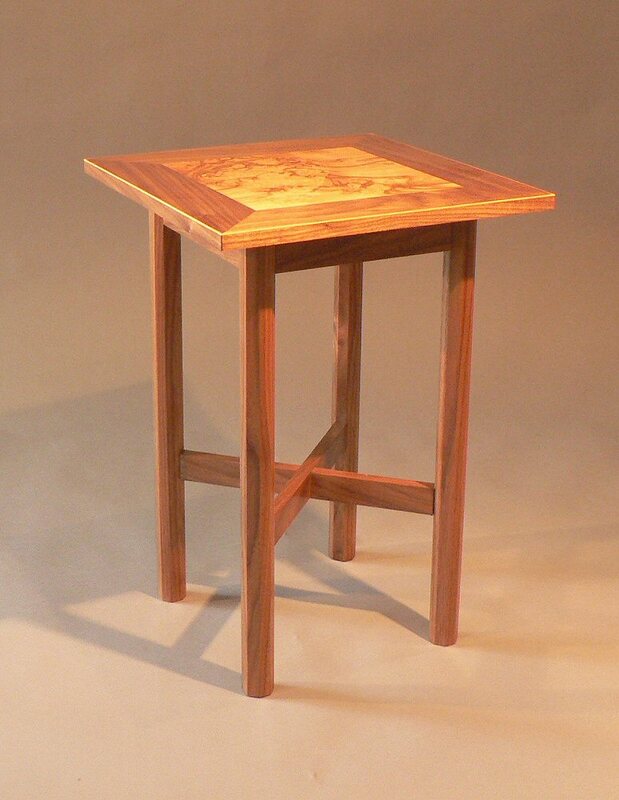 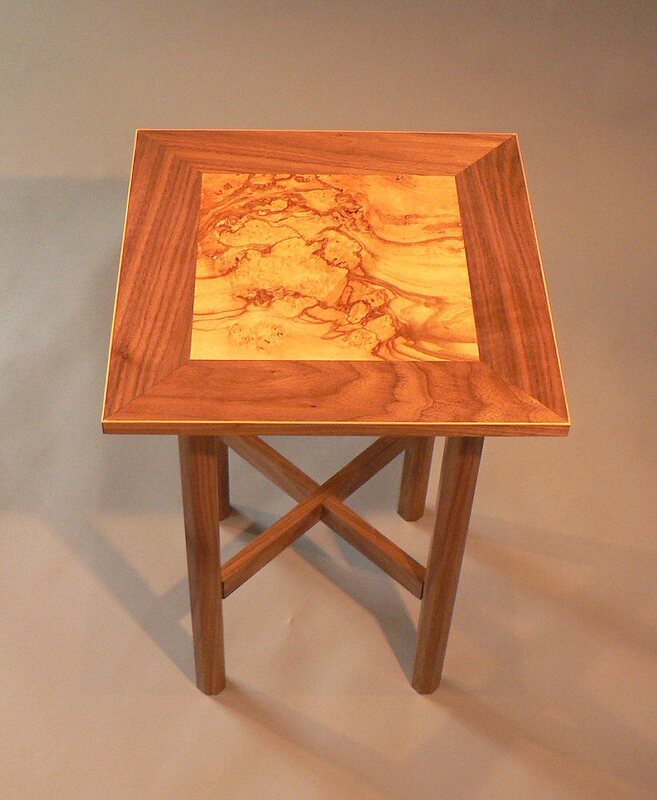 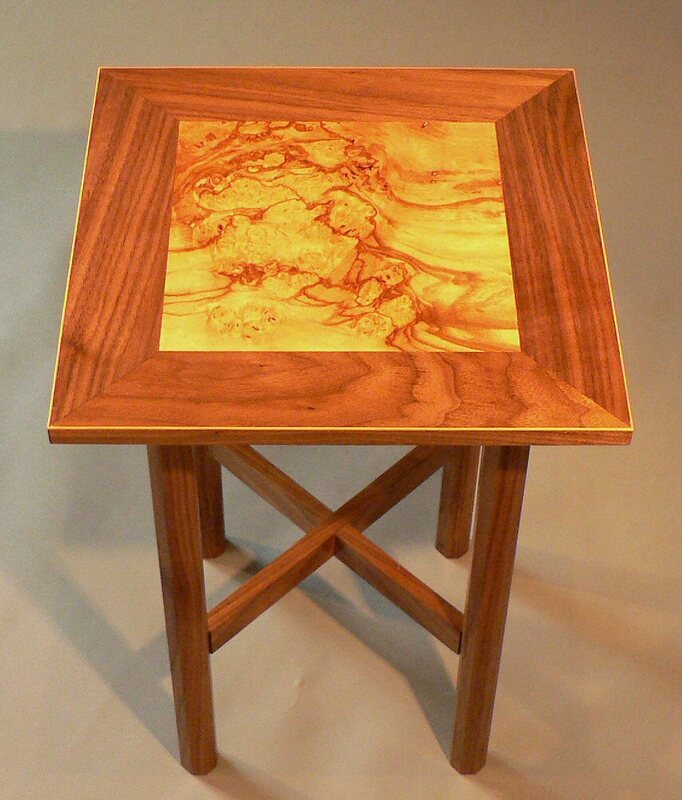 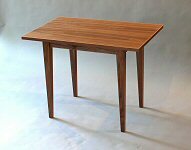 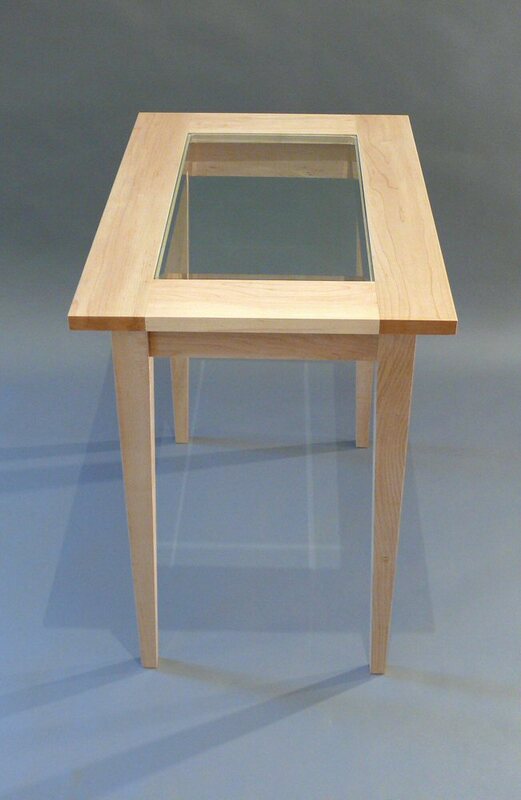 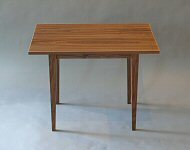 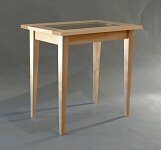 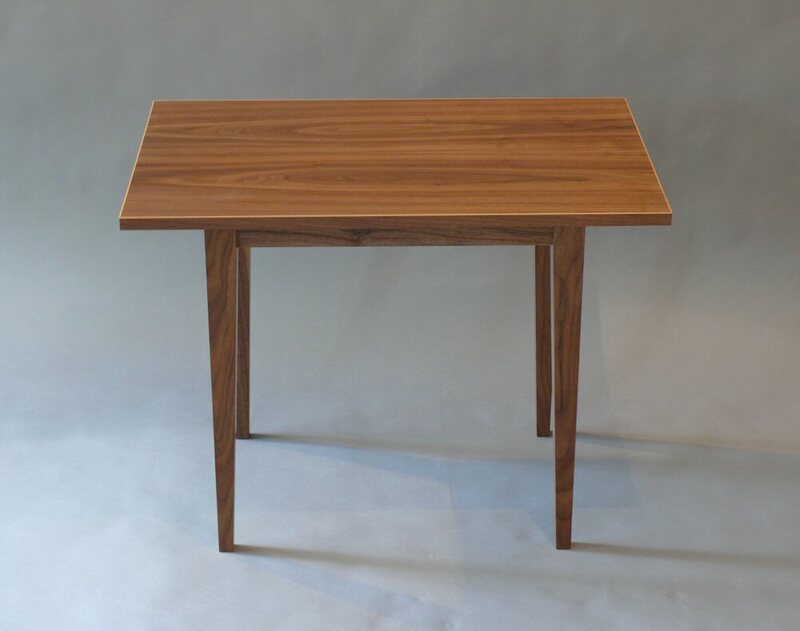 This is an example of a table that I plan to make versions of in different woods and veneers. 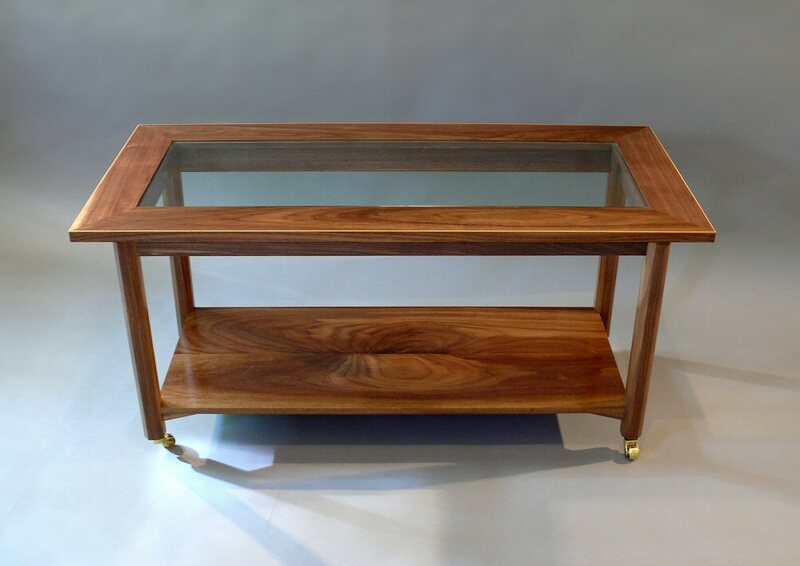 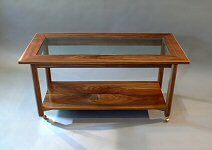 This one is made with American black walnut inset with a pepperwood veneered top and boxwood stringing around the edge. 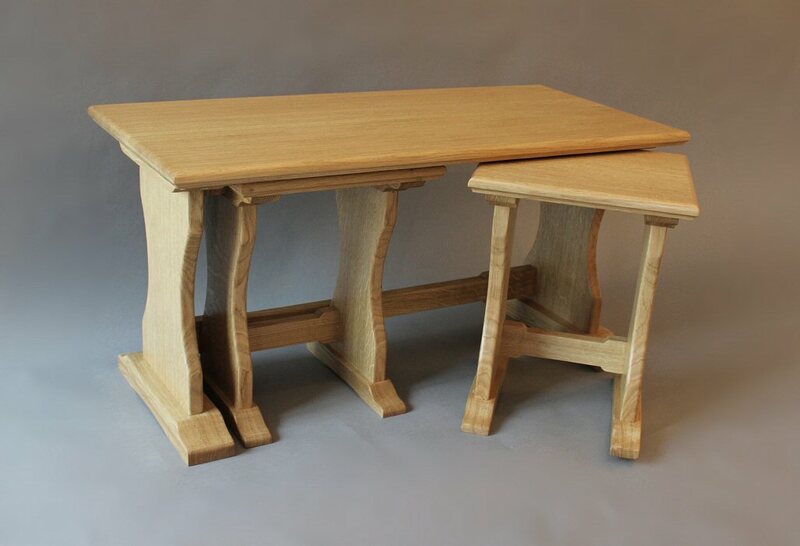 My client commissioned me to make a series of matching tables to replace her existing unmatched tables. 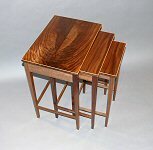 The third in the series is a nest of three smaller tables. 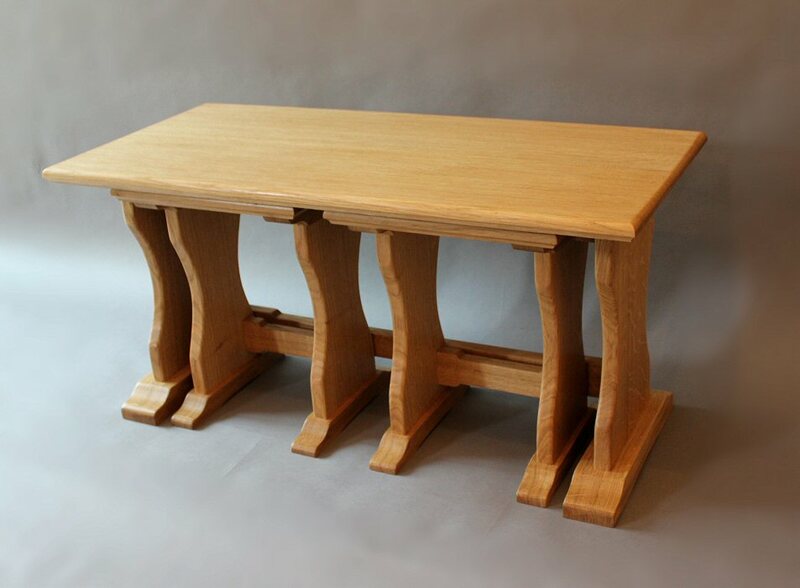 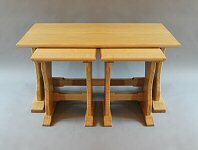 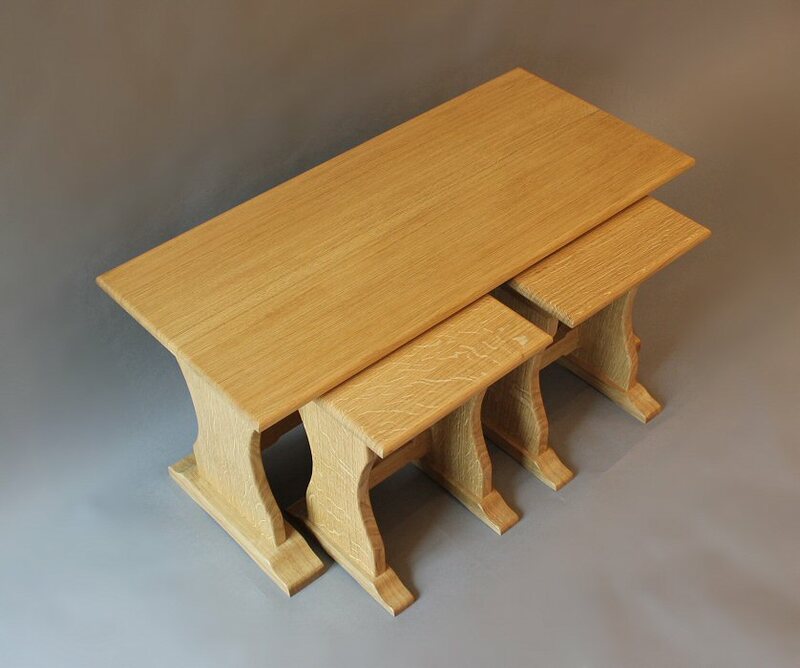 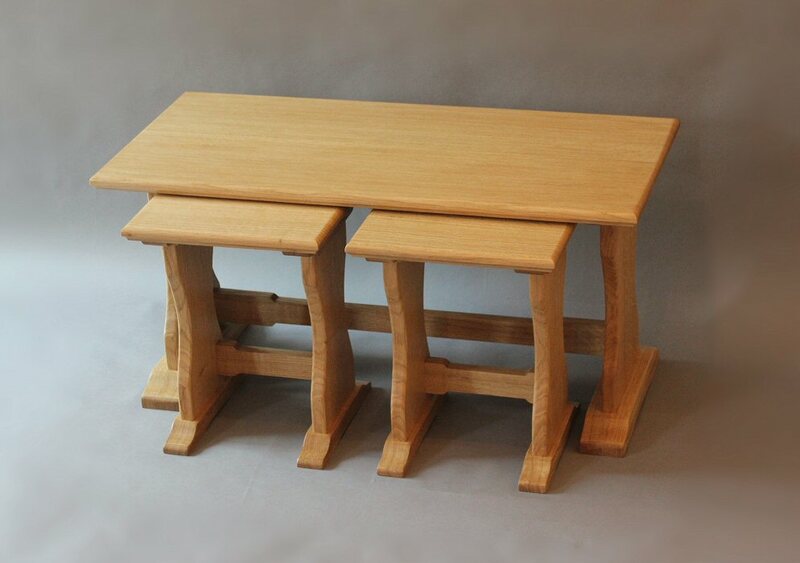 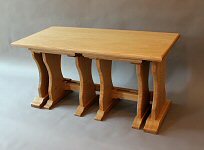 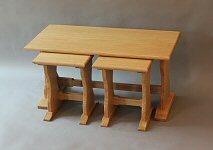 This pretty set of Croation oak tables is very similar in design and size to a set my client already has. 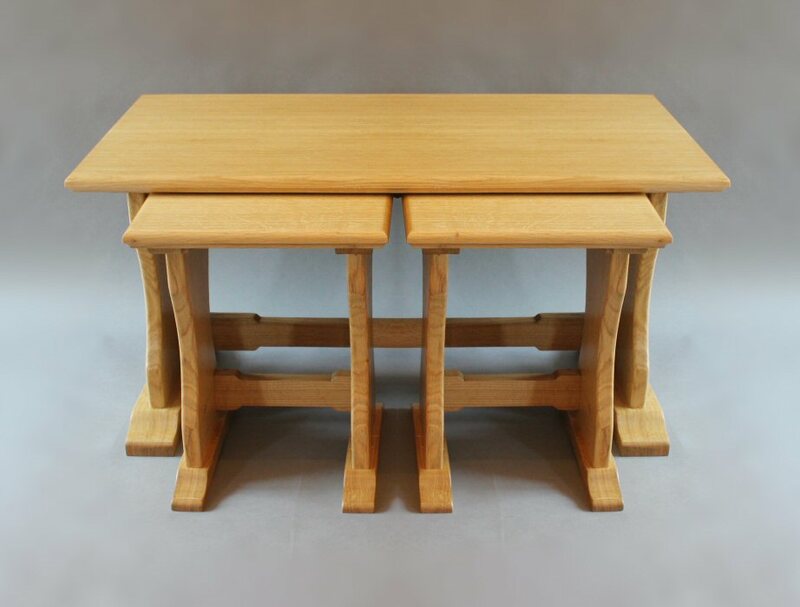 This set was commisioned by him as a wedding present for his daughter who is due to get married later in the year. 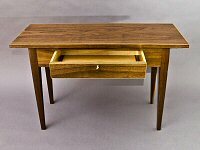 I hope she likes them!